Today is pancake day! I just googled it, and it originates from the 1st day of lent and catholic fasting. I just found this out today, but I just like celebrating any holiday. I celebrate everything, cause am all about 1 love! 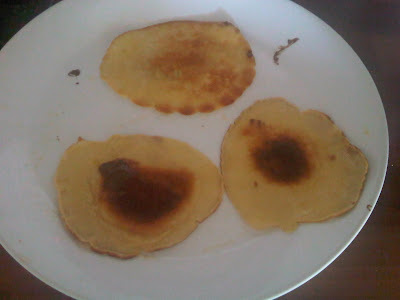 So in the spirit of holidays and my new obsession with cooking, thanks to Julie and Julia, I made pancakes. Its one of the easiest and most versatile meals to make cause you can create your own. I learnt this from visiting Ihop last summer in Yankee where they put everything from nuts to pineapple to toffee!!! I LOVE IHOP! 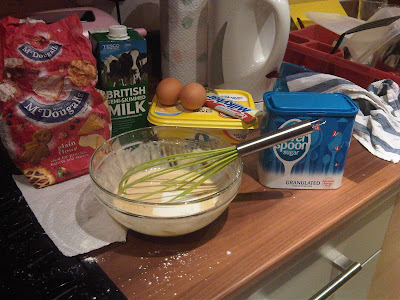 So here's my pancake recipe. Beat the eggs, milk and salt. Add the flour and beat until well mixed. Add the sugar and a little bit of salt. You can add whatever you like at this point, I like white choclate pieces, banana, or strawberries. Melt butter on low heat, when butter starts to bubble, spoon the batter in little batches onto the frying pan. 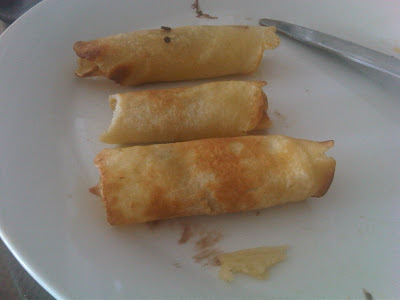 This makes it thin, crispy and light so they are like mini pancakes. 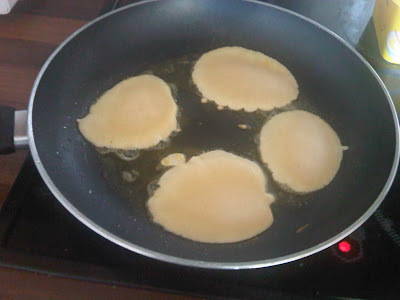 When the bubbles start to burst on the batter and get brown, flip it and let it get brown on the reverse side. 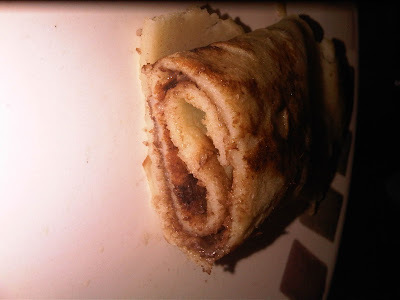 Put it on a plate, spread with nutella and roll up. 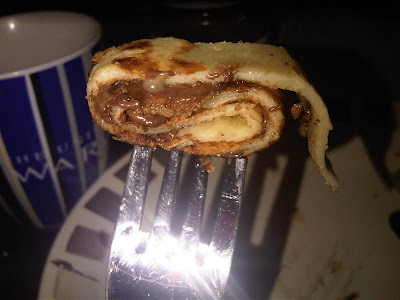 You can drizzle pancake syrup or toffee sauce on it! Yay, mogbe o, lol. I'm drooling here. 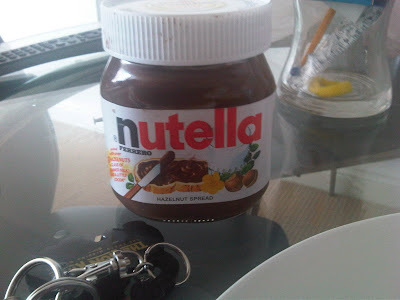 Send my share now now.lol love nutella, so good. Been a while girl, would be back. Cake mixes make baking easier; they also save you a lot of time. Whenever you are in a hurry and feel a craving for a banana cake recipe, you can simply take out the cake mix from the pantry and your cake batter will be ready in minutes. Here is a simple banana comfort food recipe with cake mix and a recipe for yellow cake mixture that you can prepare in advance. Many people steer away from these Baked comfort food friendly bakery products because of the notion that these places produce goods that have odd taste. This is probably because of the poor sugar substitutes that they use.